The British Film Institute (BFI) has withdrawn Harvey Weinstein's Fellowship honour. 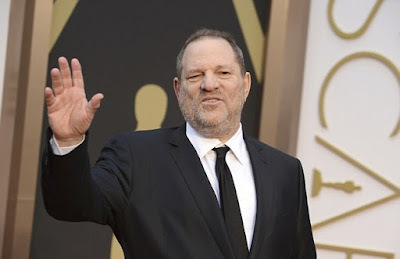 The honour was given to producer Weinstein in 2002, but the BFI has said it is now revoking it following the sexual harassment allegations made against him by a number of women in the film industry. In a statement, the organisation said: 'A BFI Fellowship is the highest honour we can bestow, awarded by the BFI's Board of Governors to individuals for their outstanding contribution to film and television. The statement continued: 'The BFI Board has met and decided to withdraw the BFI Fellowship awarded to Harvey Weinstein in 2002. 'Sexual harassment, abuse and bullying is unacceptable under any circumstances. Everyone working in the film industry - in any industry - should be safe and respected in the workplace.